The Student Desk, Open Hutch combines an hutch with a desk. 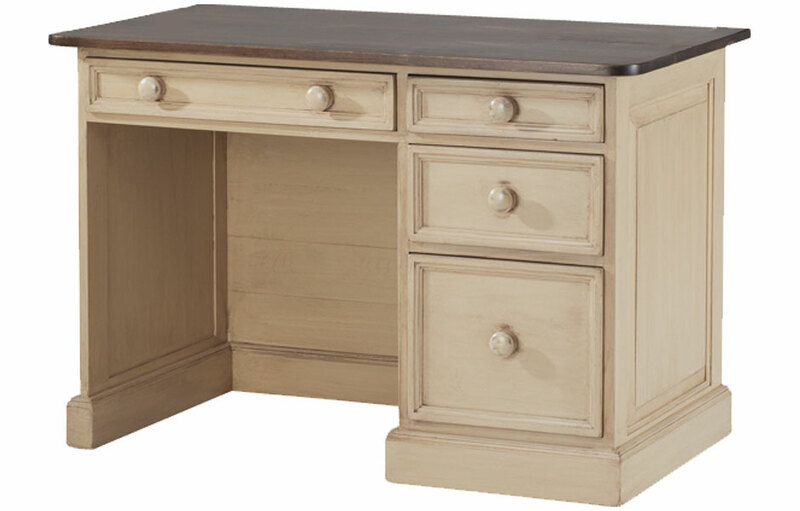 This French-inspired desk has raised bevel panel sides, flat base moldings, three drawers, and a pull-out keyboard tray. 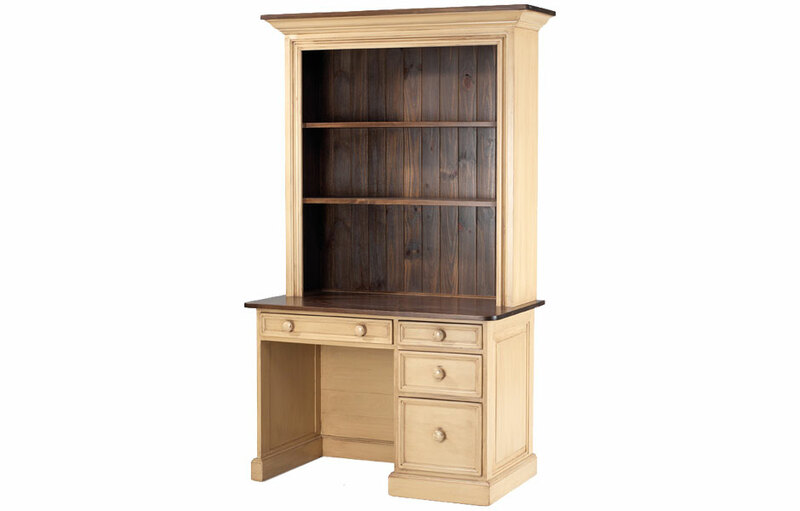 The upper hutch is an open shelf design, with two fixed shelves, and sits on top of the desk secured by molding. 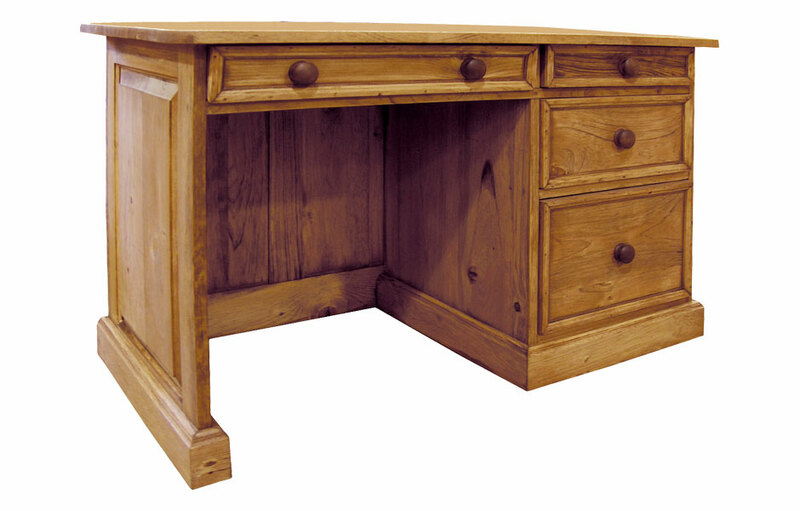 The desk offers all the storage needed in a home office or study area. The beloved Student Desk Open Hutch melds built-in character, clutter-free organization and versatile workspace into one piece—making it an ideal choice for students and work-from-home professionals. 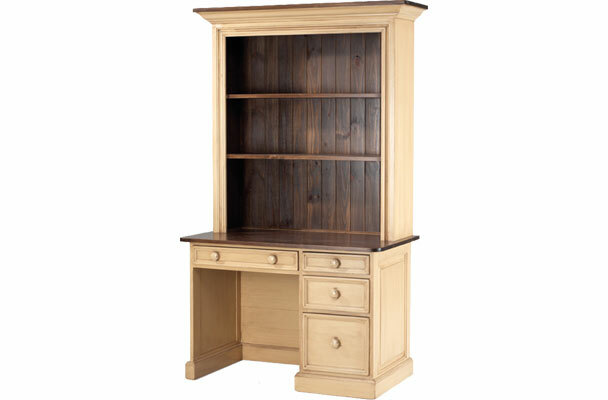 The desk's combination of an upper open hutch with lower storage provides plenty of useful workspace in a home office. The upper hutch bookshelf boasts two fixed shelves to showcase books and awards. The lower storage drawers offer clutter-free storage for pens, office supplies and files. The desk offers the storage capabilties of a large desk wall unit, all within a compact, 48 inch wide x 78 inch high x 26 inch deep profile. The solid wood workspace is perfectly sized for a laptop computer with plenty of room for other paperwork, books and mobile devices. The center drawer has a keyboard tray pull-out for ease of typing. The piece has French-inspired details include raised panels, crown molding, and wooden knobs. The upper hutch has v-groove solid wood backing. The tall desk can be painted and/or stained in colors of your choice. The Student Desk Open Hutch complements French Country, English Cottage, Farmhouse, Rustic, Transitional and Traditional style decors.